For the past couple of weeks, I have been kind of handicapped. On October 4, I suffered what apparently was a seizure. Since then, I have been kind of weak and unsteady. I’ve read that it goes with the territory, and takes a while for the brain and body to recover the balance and strength. 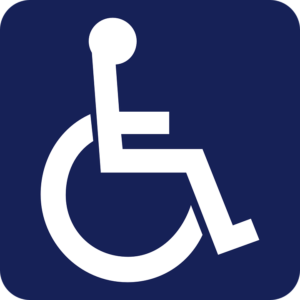 In order for me to get around, I have been using a wheelchair, borrowed from Ezer MiZion. So in the few times that I have been out, I have seen how the Israeli public views handicapped people. There are several positive experiences that do stand out in my mind as Only in Israel experiences.- at one shop, someone helped me with the door to the handicapped facilities (it was on a really tight spring), and they said that if I could not lock the door myself, they would guard the door for me. The handicapped facilities were quite easy to maneuver, and I thanked them for their assistance. A day later, in the center of Jerusalem, while my wife and I (mainly my wife) were struggling up Ben Yehuda street, some woman came over and helped my wife push me uphill. Riding the Jerusalem light rail was an experience in itself. Since parking in midtown Jerusalem is a nightmare at the best of times, we we decided to park at Har Herzl, and take the light rail from there. The only poor experience on the train was some woman (on her phone) tried to push over my feet with her baby carriage. I can give her the benefit of the doubt, as the call probably distracted her. Another passenger moved over so that I would be able to use the handicapped area (not a great design for a wheelchair). Aside from the receptionist, no one made me feel like I was mentally handicapped, I suppose it is because there are other physically-disabled people due to injuries, and they are a small but visible group. I am trying to graduate from the wheelchair to using a couple of sticks – to make myself a little more mobile. All in all, it made me grateful for the fact that this is only a limited experience for me.